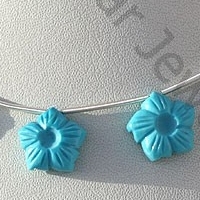 Flowers are very beautiful. 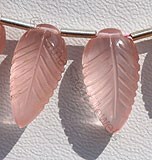 They evoke a feeling of love, beauty and affection. 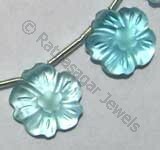 Ratna Sagar Jewels presents to you wonderful collection of gemstone in flower beads shape. 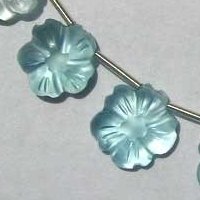 A look at our gemstone flower beads is enough to make you fall in love with them. 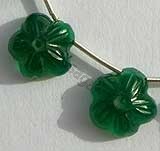 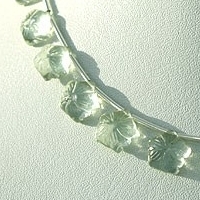 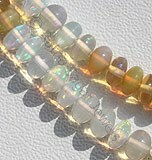 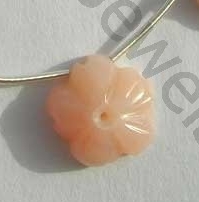 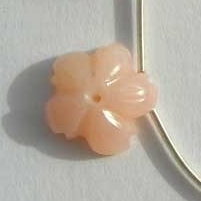 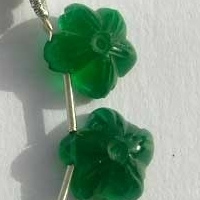 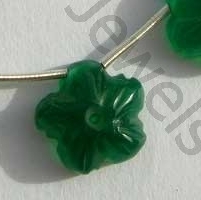 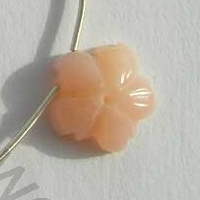 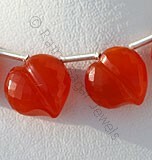 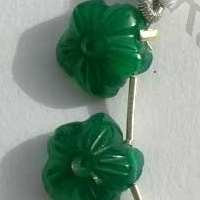 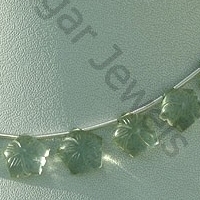 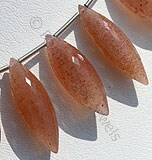 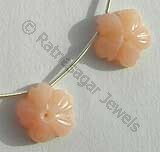 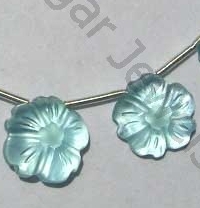 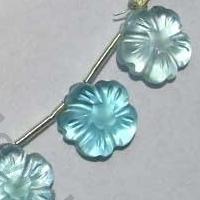 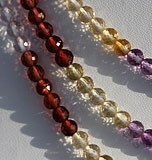 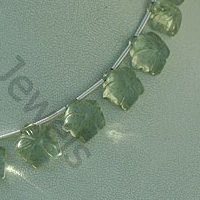 If you are gem lover then your collection is going to be incomplete without out gemstone flower beads. 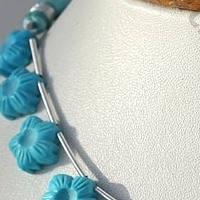 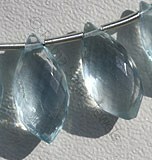 Take a look at our collection that includes Blue Turquoise, Pink Opal, Blue Topaz and Green Onyx in flower bead shape. 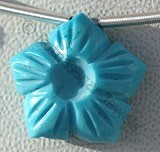 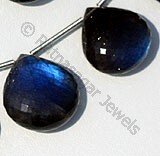 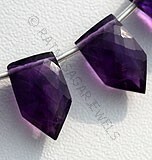 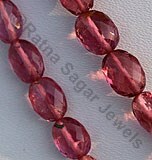 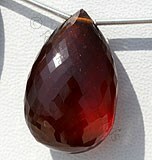 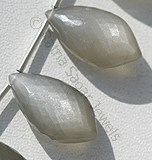 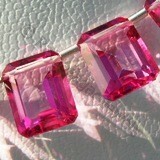 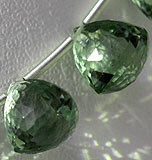 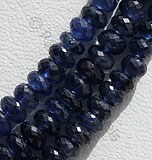 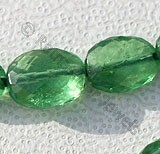 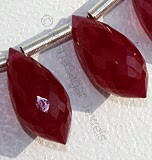 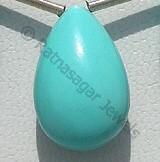 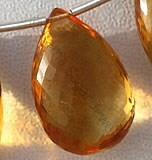 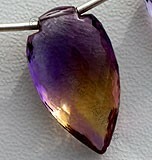 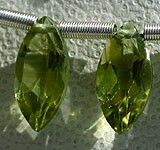 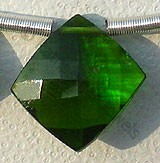 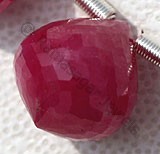 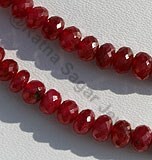 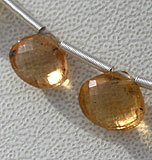 We will happily customize gemstone of your choice into dazzling flower beads. 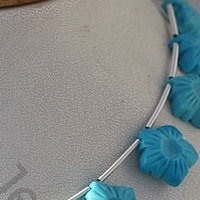 Turquoise is a variety of blue green natural mineral, which is treated and stabilized to enhance color, possess property of opaque with waxy luster and are available in blue color with artistic cut, Flower Shape. 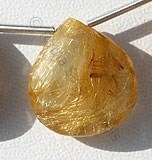 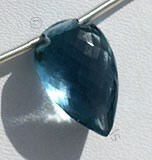 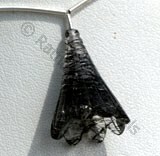 Blue Topaz Gemstone is irradiated and heat treated with colorless natural transparent Topaz to produce a more desired blue, with vitreous luster and are available with sky blue color in carved cut, Flower Shape. 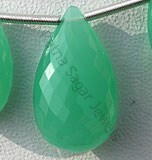 Green Onyx Gemstone is a variety of natural white chalcedony quartz, which is treated with deep green color, possess property of translucent with vitreous luster and are available in green color with carved, Flower Shape. 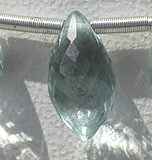 Green Amethyst Gemstone is a variety of mineral quartz, which is heated to enhance color, possess property of transparent with vitreous luster and are available in green color with carved cut, Flower Shape.